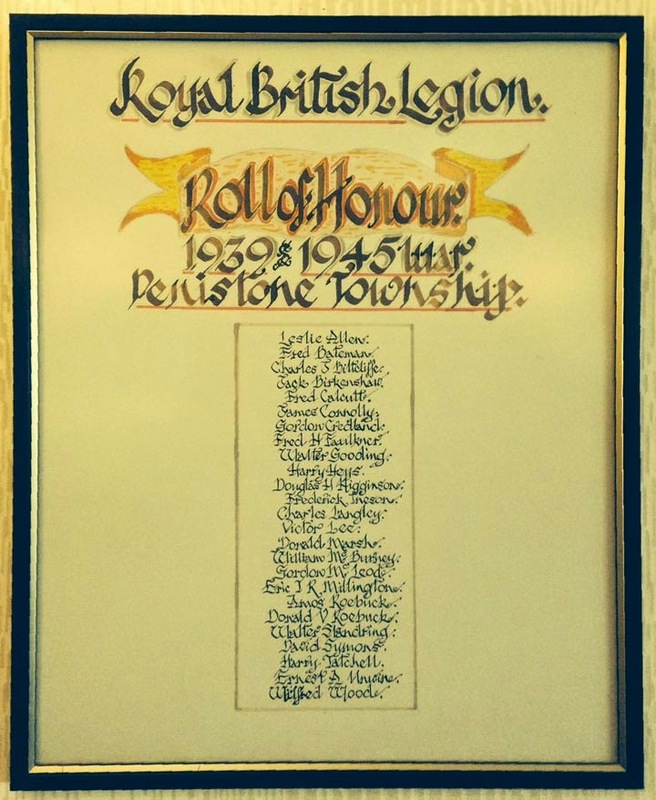 The 1st July 1916 was the first day of the Battle of the Somme when so many of the men of Barnsley in the 13th and 14th York and Lancaster Regiment (the Barnsley Pals) and others from many other Regiments lost their lives. This book rests in a wood and glass case below the Memorial Window to the Fallen of both World Wars. 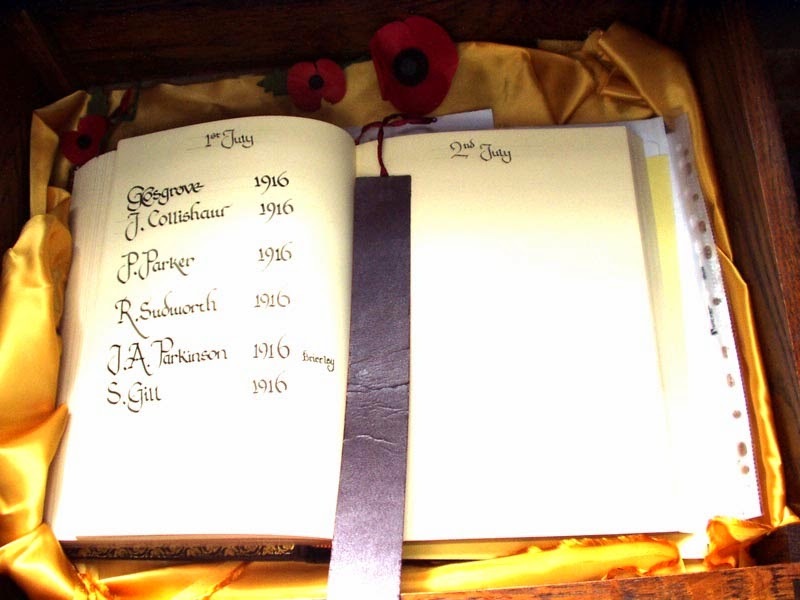 A page is turned every day to show the names of the men or women who fell. 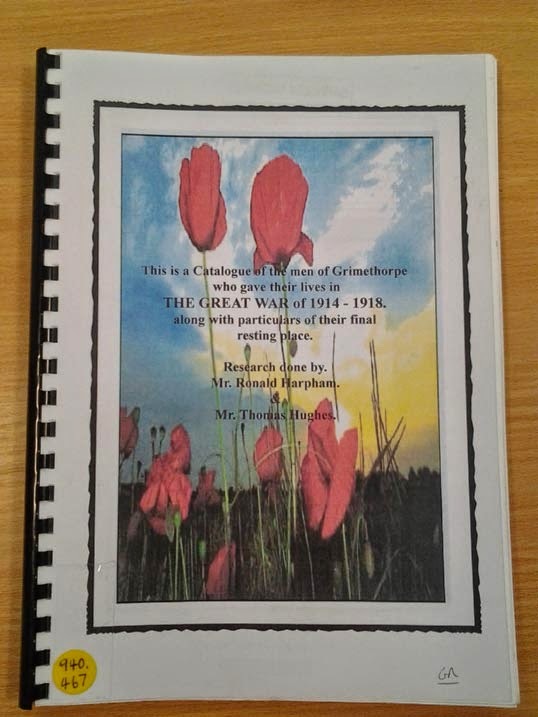 The book contains the names of the men on the Grimethorpe War Memorial. Photographed by Phil Gregg (Barnsley CAMRA) and additionally by Nigel Croft. 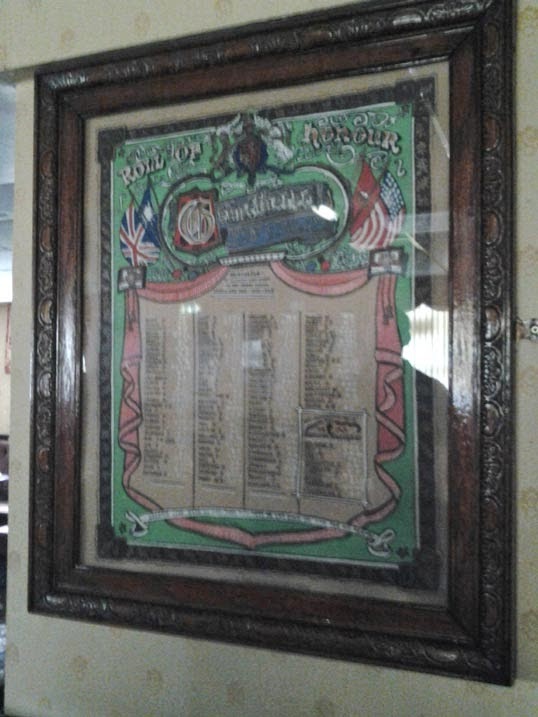 The reflections from the windows made this memorial difficult to photograph clearly - as a result some of the names were a little unclear until we were able to arrange a further visit to check our list against the actual plaque. A new bell has been presented to the Ardsley Parish Church by Mrs A. D. Bond, of Ardsley Lodge, in memory of her husband, the late Lieutenant A. D. Bond, who died while serving in His Majesty's Forces. 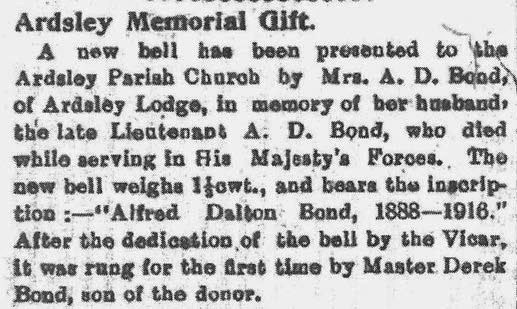 The new bell weighs 1 1/3 cwt., and bears the inscription: - "Alfred Dalton Bond, 1888 - 1916." After the dedication of the bell by the Vicar it was runf for the first time by Master Derek Bond, son of the donor. 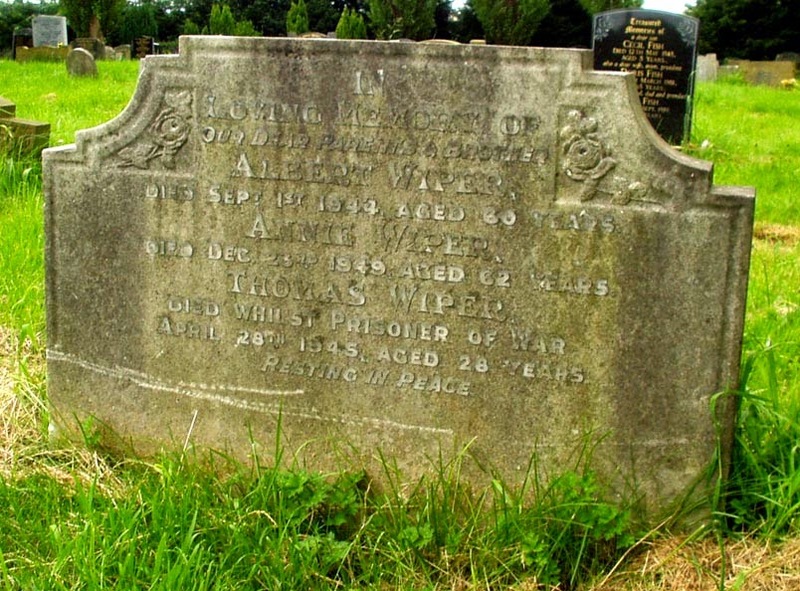 Alfred Dalton Bond is also remembered on the Ardsley, Christ Church, Christ Church Parishioners - WW1 Plaque and the Barnsley St Mary's Combined War Memorial. 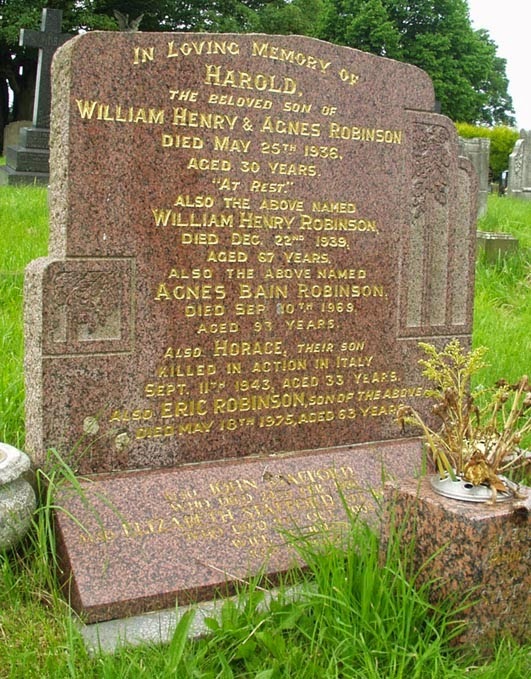 He is buried in Ardsley Christ Church Churchyard cemetery and remembered on the Commonwealth War Graves Commission website. 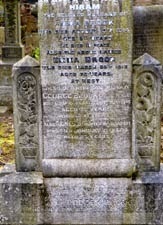 Frank is buried in Vignacourt British Cemetery, France and remembered on the Commonwealth War Graves Commission website. 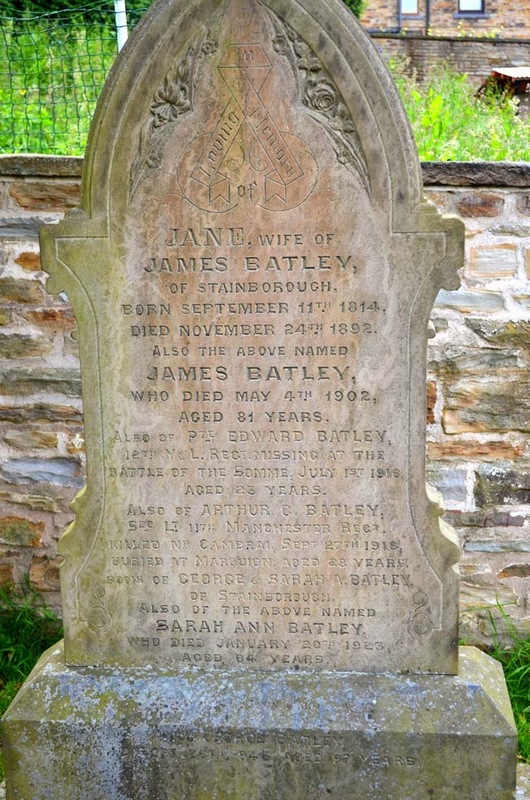 In Loving Memory / of / Jane, wife of / James Batley / of Stainborough/ born September 11th 1814 / died November 24th 1892 / Also the above named / James Batley / who died May 4th 1902 / aged 81 years / Also of Pte Edward Batley / 12th Y&L Regt Missing at the / Battle of the Somme, July 1st 1916 / Aged 23 years / Also Arthur G Batley / 2nd Lt 11th Manchester Regt / Killed nr Cambrai Sept 27th 1918 / buried at Marbuion aged 28 years / sons of George & Sarah A Batley / of Stainborough / Also of the above named / Sarah A Batley / who died January 20th 1923 / aged 64 years. 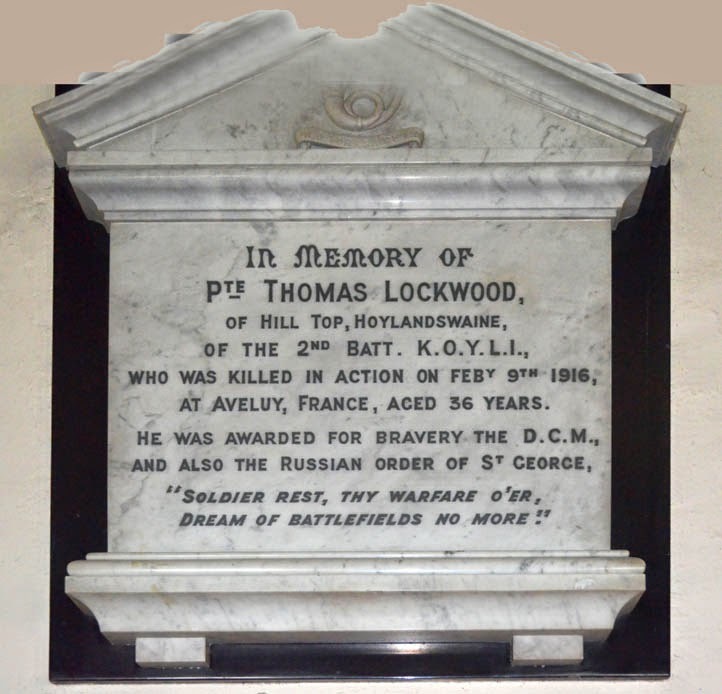 Hood Green War Memorial, Hood Green Road, Hood Green,on the Stainborough, Wentworth Castle Roll of Honour, nr Barnsley and on the Barnsley, Holgate Grammar School Old Boys - WW1 memorial in the Cooper Gallery in Barnsley. 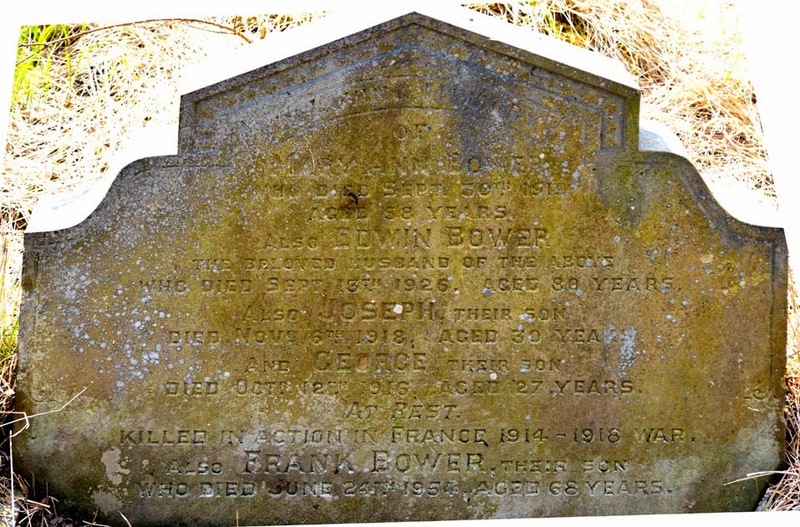 Edward is buried in the A.I.F burial ground at Flers, France and remembered on the Commonwealth War Graves Commission website. Arthur is buried in the Quarry Cemetery, Marquion, France is is remembered on the Commonwealth War Graves Commission website. This useful book can be found on the Reference shelf in the Acorn Centre, High Street, Grimethorpe. 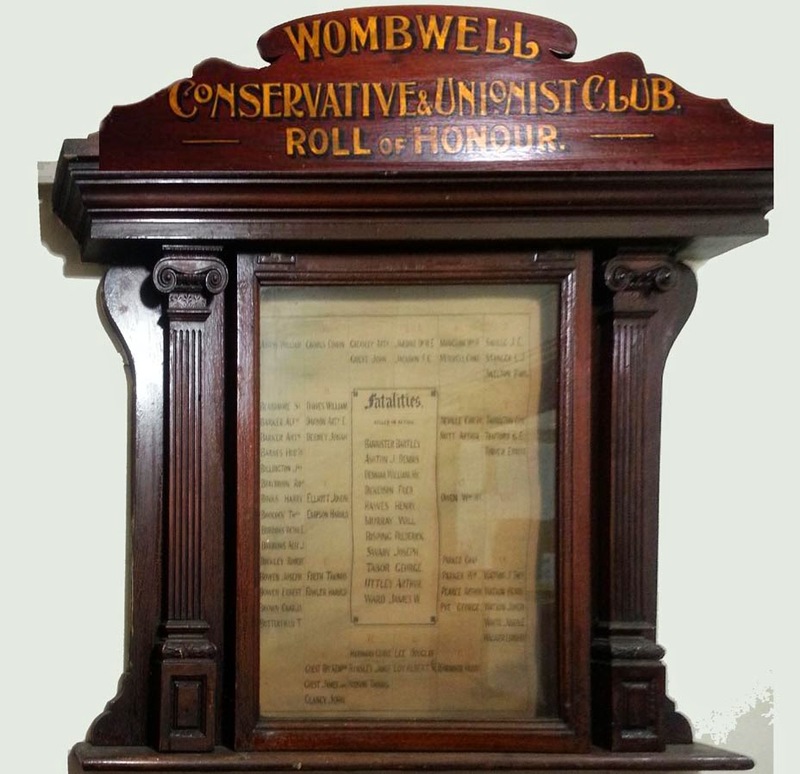 It lists all the men on the Grimethorpe War Memorial outside St Luke's Church and on the Roll of Honour in Grimethorpe Working Men's Club on Brierley Road. There are collected newspaper cuttings about the fallen men and information on where they are buried or remembered (if they have no known resting place). 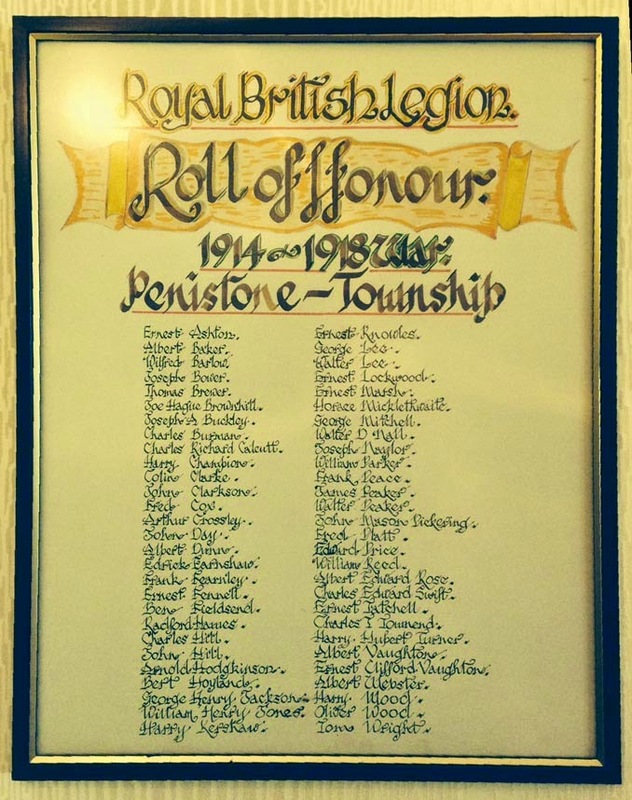 Researched by Ronald Harpham and Thomas Hughes, this is the kind of project that should exist for every town's war memorial. Grimethorpe Cemetery has twelve Commonwealth War Graves Commission burials in addition to the five war memorial gravestones shown below. 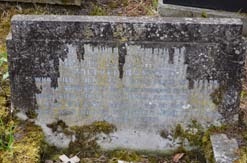 A soldier killed in Northern Ireland in 1971 is also buried in the cemetery, Clifford Loring. 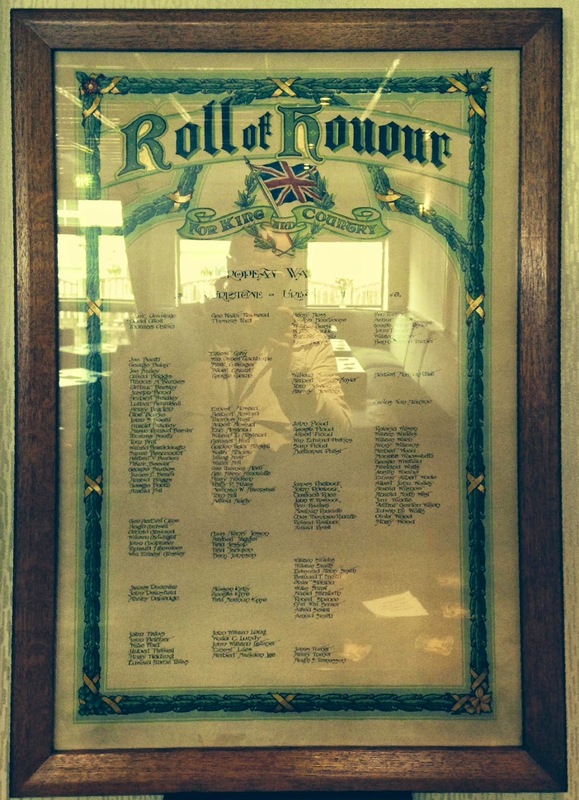 There is also the burial of a soldier who died in 2004, Charles David Sellar. Gawber Churchyard has four Commonwealth War Graves Commission burials in addition to the two war memorial gravestones shown below. 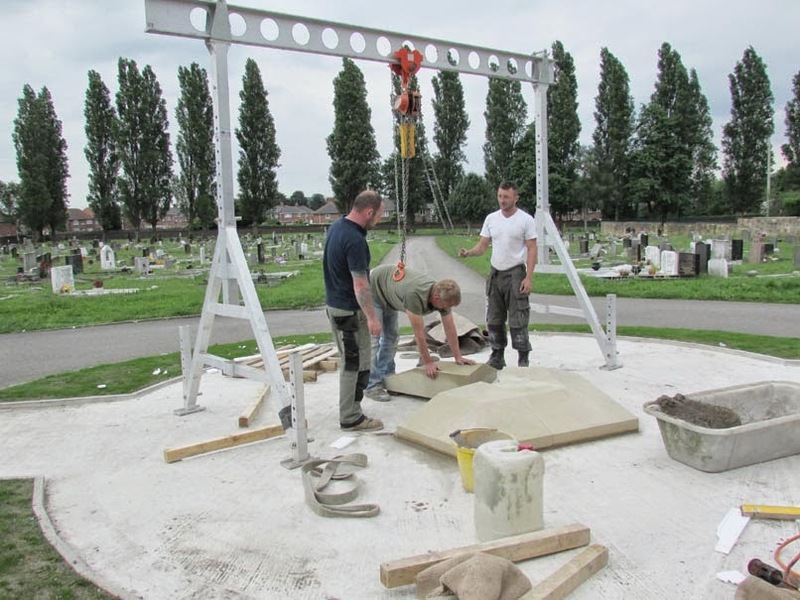 Work has begun on the new memorial for the fallen of the Dearne towns. 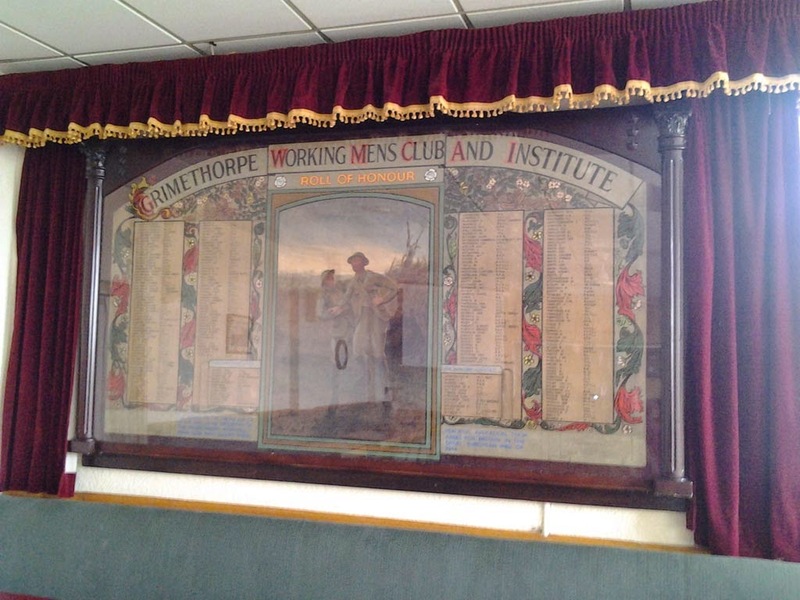 The new memorial has been organised by the Peter Shields of the Dearne Memorial Group and Barnsley Cemeteries Project. The project will cost between £25k and £30k. 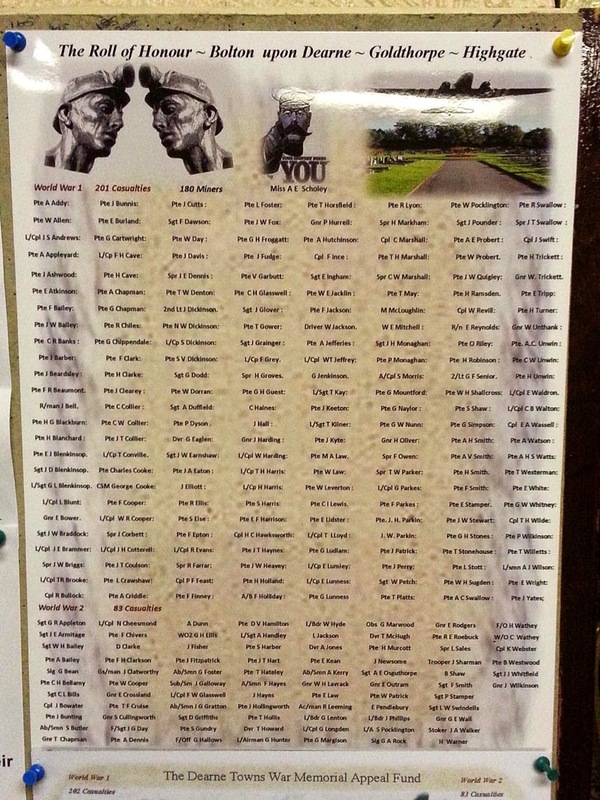 Posters with lists of the names of the fallen have been distributed widely around the area asking for donations over the past year. 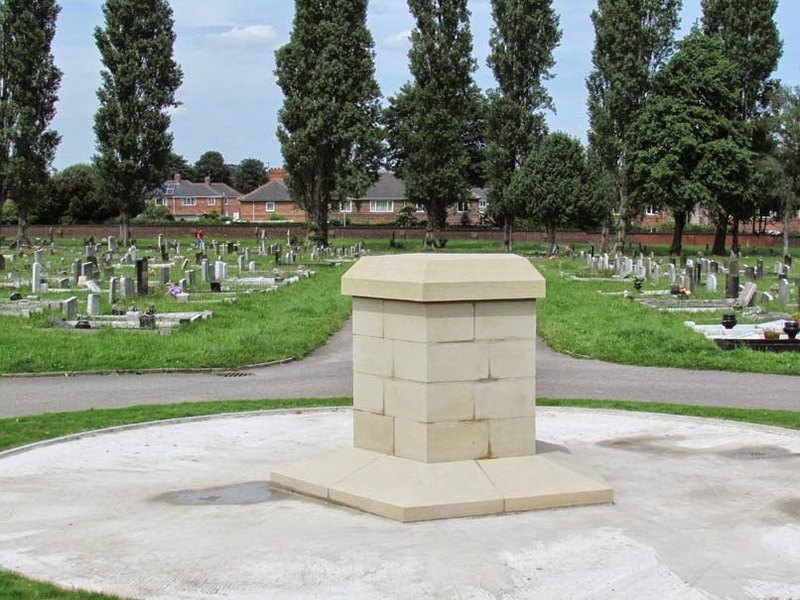 The memorial to 199 people from WW1 and 86 men from WW2 is being placed in Bolton-on-Dearne Cemetery and will be unveiled in August this year.